With Advance Capital Management, your needs always come first. Is Your Financial Adviser a Fiduciary? It’s understandable to assume that a firm or person providing financial services has a legal obligation to act in the best interest of clients; that is, as a fiduciary. Unfortunately, that is not always true. Anyone may call themselves a financial adviser, financial planner, wealth manager or just about any other title. This can make it difficult to determine how well you can trust someone with your money. Knowing whether or not the company or person you’re working with is a fiduciary comes down to how they’re registered. Registered investment advisors, such as Advance Capital Management, are regulated under the Investment Advisors Act of 1940. They are bound to the fiduciary, or “trust,” standard—the highest legal standard. This is a higher level of standard than the “suitability” standard that is followed by registered representatives such as stockbrokers. 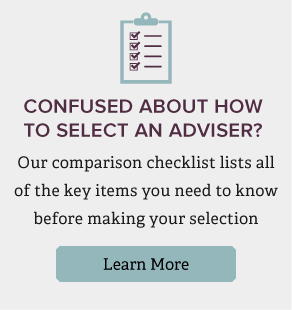 Therefore, you should be aware that the advice you receive from one adviser to the next can differ depending on how they are registered.